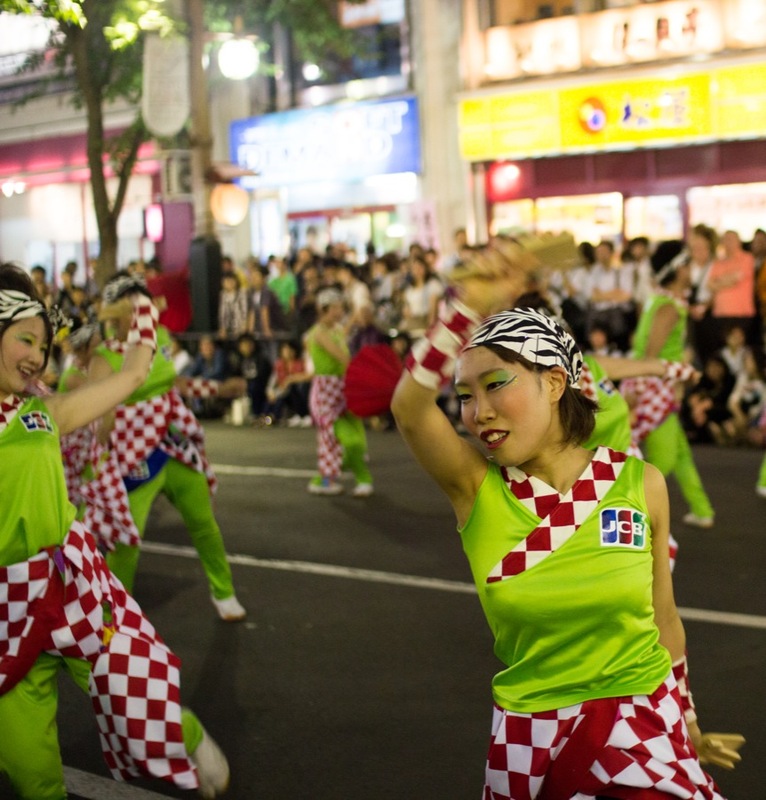 Summer in Sapporo is fully taken advantage of with festivals, the city is alive with action. 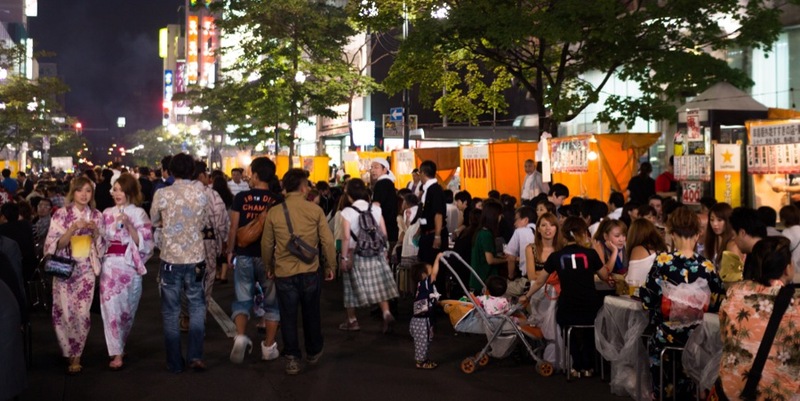 Nothing embodies the spirit of the city more than the Susukino Festival does. 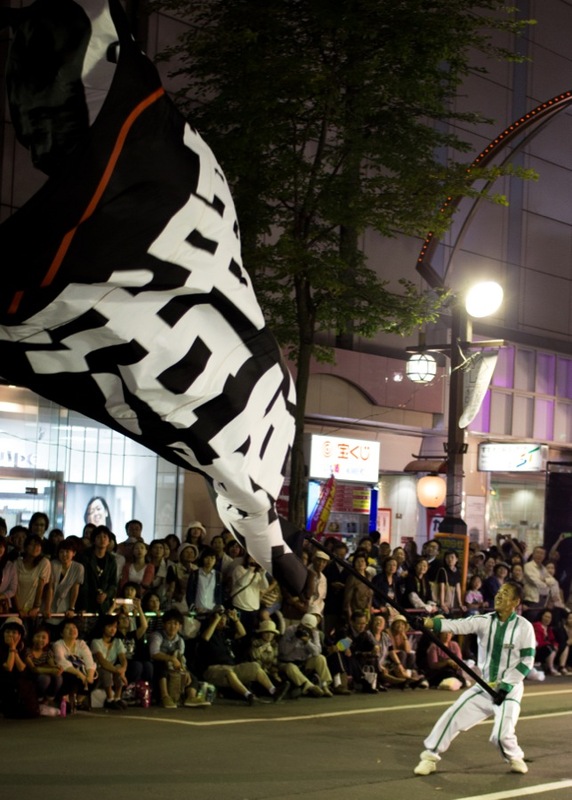 Susukino is the entertainment district of the city. 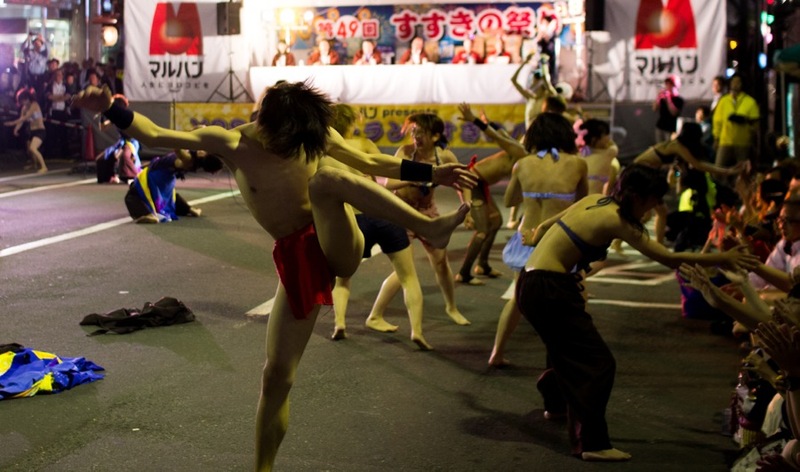 Streets and streets of bars, karaoke rooms, hostess clubs and massage parlors. 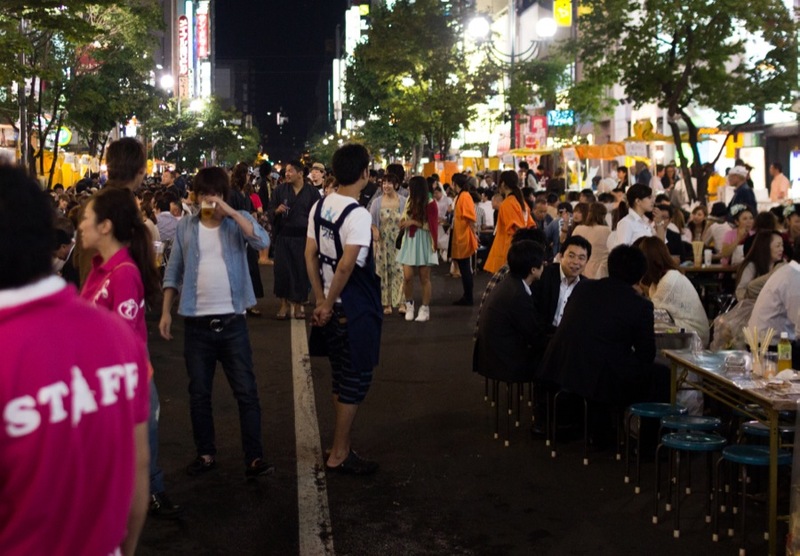 For one weekend the streets close down when darkness falls and the bars take over, setting up tables and selling beer and grilled food. People laugh and enjoy each others company. 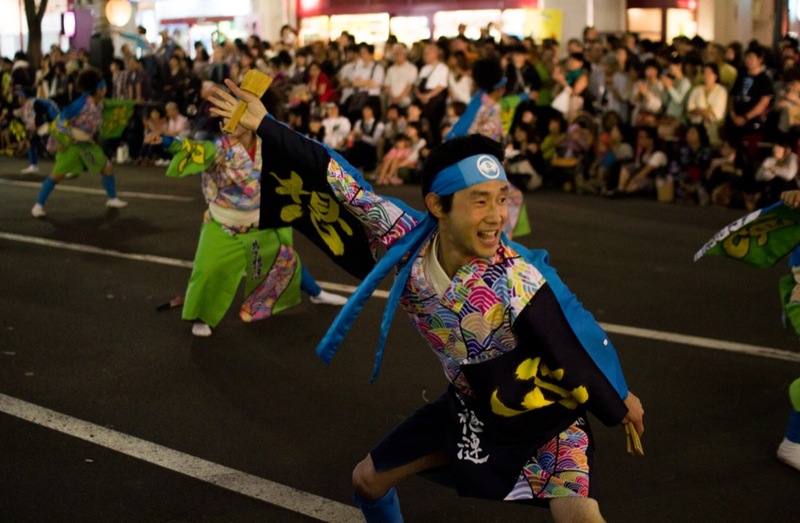 The festival also hosts dance and taiko drumming competitions. I typically don't pay much attention to dance competitions, I watch for a little bit and move on. However this was the most fun I've ever had watching people dance in public. All the groups were having so much fun, thoroughly enjoying themselves, entertaining others was just secondary. 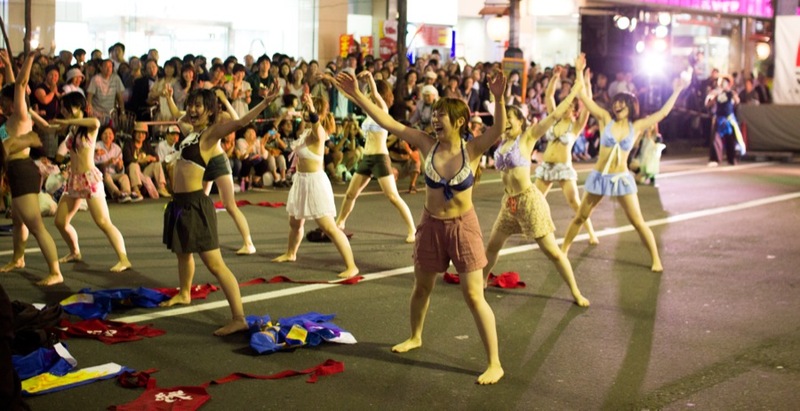 The fresh-faced Hokkaido University group clearly lacked in skill, but won me over with enthusiasm and genuine happiness, ultimately stripping down to their underwear in front of their community. 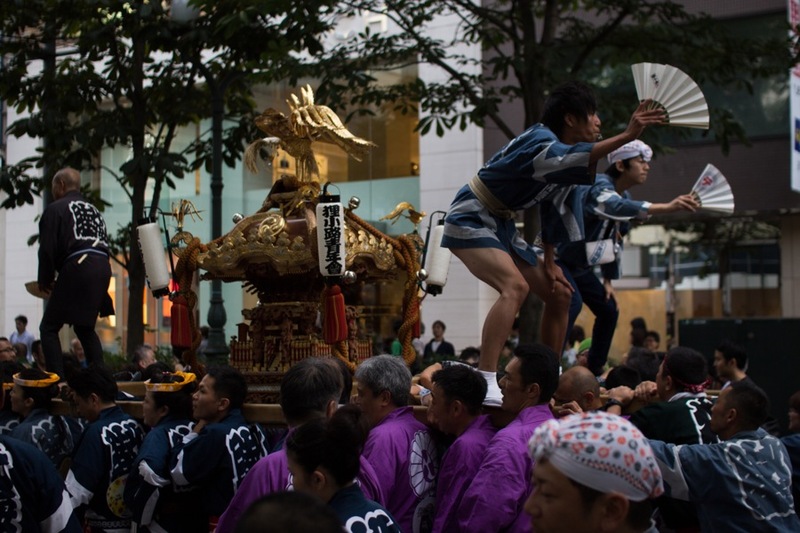 A big part of most Japanese festivals is the parade of Shinto artifacts. 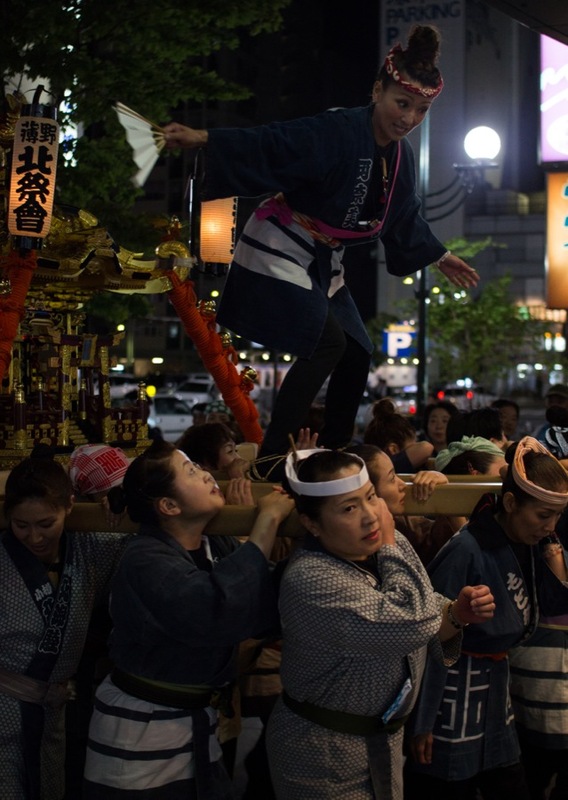 Often portable shrines maintained by neighborhoods or social groups, it is truly unique to Japan. 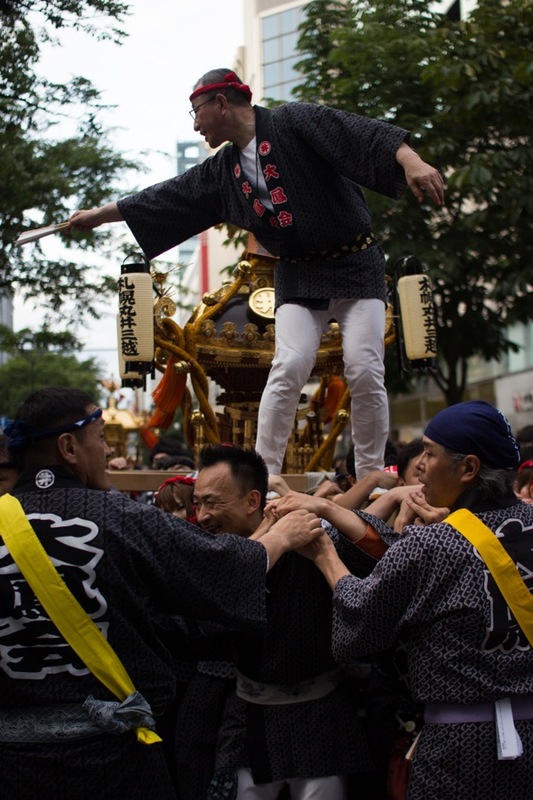 Anyone spending any amount of time in Japan needs to attend a decent festival, they are fantastic examples of modern and traditional Japan coexisting as well as clashing.